What led you to be interested in Bitcoin? Tell your story. Well, a friend of mine sent me an email alerting me to the technology of bitcoin. So I spent seven days reading and researching about it non-stop. My wife thought I’d gone crazy. However, I found it completely fascinating. My earlier career was in trading and as a technical analyst its volatility obviously offered a variety of opportunities. I got in touch with a my colleague. 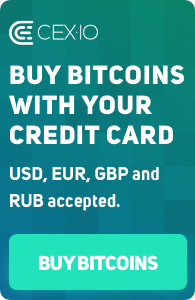 We thought that provided we move in and out quickly, it’s a great way of making fiat money. Those were my first financial thoughts. Having said that, I realised there was a lot more to the bitcoin and alternative digital universe that merited a closer look. Now it’s all about innovative technology of the blockchain that fires me up. As a member of UKDCA, you are a true Bitcoin believer. How does it feel like being one? Besides the victimisation and accusation of insanity?! It’s an overwhelming responsibility of being an advocate of bitcoin and falling into the inbetween generation of those who are forging the identity of bitcoin and those who stands for it. People younger than me are less likely to understand the wider economical issues and the vast range of financial instruments that are currently in play. The older generations — those from Baby Boomers — are wrapped up in Keynesian ideas: they’ve based the notion of growth around consumerism and allowed personal and public debt to spiral out of control. That has been disastrous. UKDCA is committed to promoting the use and development of digital currency technologies in the UK. What biggest challenges and successes are right up the alley? The major challenge is to remove the fear surrounding the debate. Sometimes people muss up the illegal actions with the technology itself. Bitcoin has got a lot of coverage to the detriment of other issues. But we stand for a larger vision — namely virtual currencies, the transparency of the blockchain and the surge of innovation this is attracting. What role do you take in UKDCA? I’m proud to be a part of an association that demystifies the underlying technology of bitcoin as well as stands for a culture allowing entrepreneurs see alternatives at finance. For me, it’s now less about bitcoin and more about the potential of the blockchain. There has been poor communication between government, regulators and banking. Being a member of Communications Board, my role is to build a bridge between the old world of finance and the new disruptive technologies. We have to lead the debate rather than let traditional finance misrepresent us. Regulators and governments have been sidetracked by the hype of bitcoin when the more important issue is the blockchain and its potential. I worry that something big is sacrificed because only a few people understand what is happening. You are also a Member of Board at Cryptor Trust Inc. What opportunities would you mention to pitch at Bitcoin-related projects for those who would like to startup? Bitcoins are still complicated to use. Unless you are comfortable with IT, the process of dealing and buying in bitcoin can seem intimidating, bewildering and a little scary. Developers aimed to simplify the bitcoin experience (so that ordinary people can participate) are welcome to pitch the idea to us. So are the people aimed to invent devices that pinpoint and tracks criminal activity. Are you involved in any other cryptocurrency-related ventures? I’m involved in the South American Bitcoin exchange and help to a group of Columbians run an online bitcoin Expo. It’s a very ambitious and exciting project. The Spanish-speaking community is quite impressive. How can Bitcoin work for these countries? Do they have something in common? I think that the remittance problem is incredibly important for these countries. To use bitcoin, you need a high level of computer skills and computer itself. Let’s face it how many 100s of millions of people currently understand this business? So there’s a long way to go before this side of bitcoin works for the community at large. However, cryptocurrencies do allow producers and customers to interact directly with one another over large distances without the cost of an intermediary. That’s a huge game changer for people who are excluded from participating in the current banking system. As for a common theme – Spanish-speaking countries in South America are attracted to the advantages of bitcoin and other currencies because of the financial instability that they’ve observed in their respective countries. Neither government nor banks have proved to be reliable, so people are looking for other ways of protecting themselves. Will Bitcoin thrive after its regulation in EU? How do you see it? There are a number of things that are likely to impact on Bitcoin’s rate of acceptance. At the moment, a lot of people are standing on the sidelines because they fear they could be seen as financially suspect if they become heavily involved in the business and trading of buy bitcoins. It’s a move to a new area, so, in my opinion, the old guard have a vested interest in showing it’s untrustworthy. As a member of UKDCA, I’m keen on moderate regulation. However, the regulation be done in a way that allows for the rapid changes that characterise the fast-moving world of technology. Moreover, it doesn’t compromise the development of a different vision of economics that gives people more individual control over their money. For those who don’t get Bitcoin, do you have any suggestions? Give yourself a chance to learn about the fundamentals of the currency. Go to Bitcoin forums and read about it. If you have teenagers at home then ask them to search information related to bitcoin and read with them together. Young people are very smart and they can explain things you can’t. Bitcoin is not about the currency only; it’s about this disruptive technology that it’s changing our lives and the perception about finance. What’s the next big thing for Bitcoin? Corporations and banks are looking for new technology and its implementation without losing power and control. PayPal & E-bay are the first ones to take the challenge and are going their separate ways. A question lots of people were asking was “Why?”. At the same time, Braintree, a subsidiary of PayPal announced it would now take bitcoin. This was followed by PayPal itself committing to a digital currency option shortly. I believe this is the future. It’s an example of decentralization on a mass scale. So who’s next? Nobody knows, but some of the major players in the e-commerce are following the same path to be able to survive.